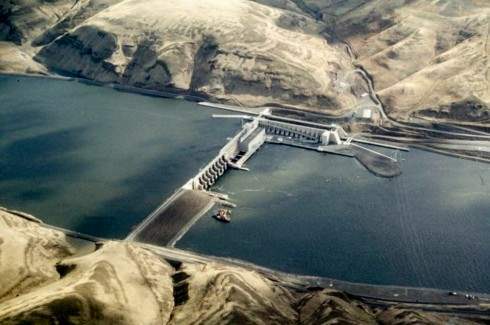 An irrigation association based in the Tri-Cities is asking President-elect Donald Trump's transition team to consider a little-used provision of the Endangered Species Act to save the lower Snake River dams. The group wants the incoming administration to convene the so-called "God Squad" and declare that a discredited federal plan that aims to reconcile dam operations with the needs of threatened and endangered salmon and steelhead should be the extent of government's fish-saving actions. Doing so would both eliminate dam breaching as a possible fish recovery alternative and halt a recently initiated environmental impact study that is expected to take five years to complete and include a cost-benefit analysis of the dams. Instead, the government would implement the biological opinion that was rejected by U.S. District Court Judge Michael Simon of Portland last May. Like four faulty biological opinions that preceded it, the latest one leaves the dams in place and instead relies largely on habitat improvement measures on spawning grounds along with hatchery and harvest reforms and minor changes at the dams, to avoid further harm to the fish. Darryll Olsen, board representative for the Columbia-Snake River Irrigators Association, said the letter was sent now, even before Trump takes the oath of office, to get the issue on the new administration's radar screen. "Our view is that it's always better to be an initiator than to stand back and wait for things to happen," he said. "If we can get some people thinking about it now, that is our objective. We don't want to go through another multiyear EIS process." A 1978 amendment to the ESA allows an Endangered Species Committee consisting of several cabinet members to allow listed species to be harmed or even go extinct, thus its nickname of God Squad. The committee has rarely been convened and when it has, committee members have more often opted to save the species in question rather than let it blink out. Olsen said Snake and Columbia river salmon and steelhead are a candidate for the committee because he believes the efforts to save them and the associated litigation will never end. The federal government has spent an estimated $15 billion trying to recover 13 listed fish species in the basin. He said the way in which the individual species of fish from different geographic areas of the basin where listed, would make recovery nearly impossible. Olsen also believes Judge Simon to be biased against the dams. "If there ever was a poster child for this provision it's what is going on in the Pacific Northwest with salmon recovery," he said. The dams produce electricity and allow for slack water transportation between Lewiston and Portland. The reservoirs behind the dam also provide irrigation water for about 60,000 acres of crop lands near the Tri-Cities. But the dams also harm salmon and steelhead by making it harder for juvenile fish to navigate to the ocean and for returning adults to reach spawning grounds. Salmon advocates have long called for Ice Harbor, Lower Monumental, Little Goose and Lower Granite dams on the lower Snake River to be breached. At least one salmon advocate said he would welcome the "God Squad" looking into the issue. Pat Ford at Boise said the public process of the Endangered Species Committee would expose the dams not only as harmful to fish but also as expensive to taxpayers. "I don't think the new administration will see a reason to do it and if they were to ponder it, I think they would see some reasons not to do it," he said. Joseph Bogaard, executive director of the Save Our Wild Salmon Coalition at Seattle, said the committee would be better off to examine the dams and consider if they should be saved. "We would much rather see them embrace a full and fair analysis of the cost and benefits of the lower Snake River dams so the fiscal elements could be well understood by the public and explore options for replacing the minimal services the dams provide with alternatives that truly protect and restore salmon and would create jobs and would fairly treat taxpayers both regionally and nationally," he said.